Product prices and availability are accurate as of 2019-04-15 17:25:22 UTC and are subject to change. Any price and availability information displayed on http://www.amazon.com/ at the time of purchase will apply to the purchase of this product. 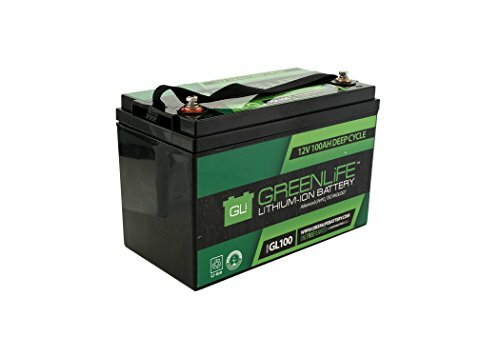 100AH / Group 31 Size / 28lbs Every GreenLiFE® battery has a fully automatic built in Battery Protection System (BPS). This protection system is designed to protect the battery and user. It will turn off the battery if it's drained below 10.5V or charged above 15.8V. Other features include short circuit protection, cell balancing, and reverse polarity protection. This model is used commonly in the following applications: UPS, computer backup, emergency lighting, security system backup, solar backup, vehicle starting (I4-V8), racing, marine, robotics, telecommunications backup, and other deep cycle applications. Design: GreenLiFE® cells are bolted together to increase strength, conductivity, and quality design of our LiFePO4 batteries. The cells are bolted through length way circuit boards that provide balancing, and short circuit protection. 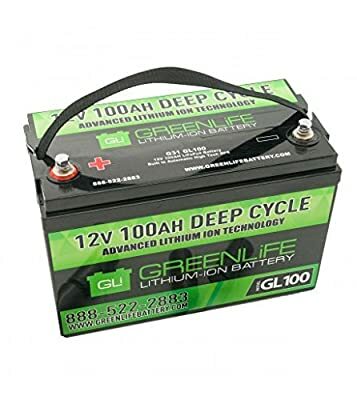 In the unlikely event one or more cells were to fail, the circuit boards will take that cell(s) off line and allow the battery to continue to function normally at 12V with reduced capacity. 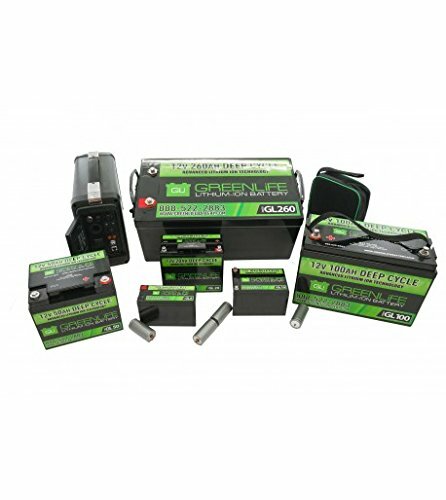 GreenLiFE® offers a Limited Lifetime Warranty on our line of Lithium Ion Batteries that guarantees it to be free of manufacturer defects.